When and where does the race start? Saturday, May 18, 2019 at 9am near the Des Moines Police Station, 100 Block of East Court Avenue. 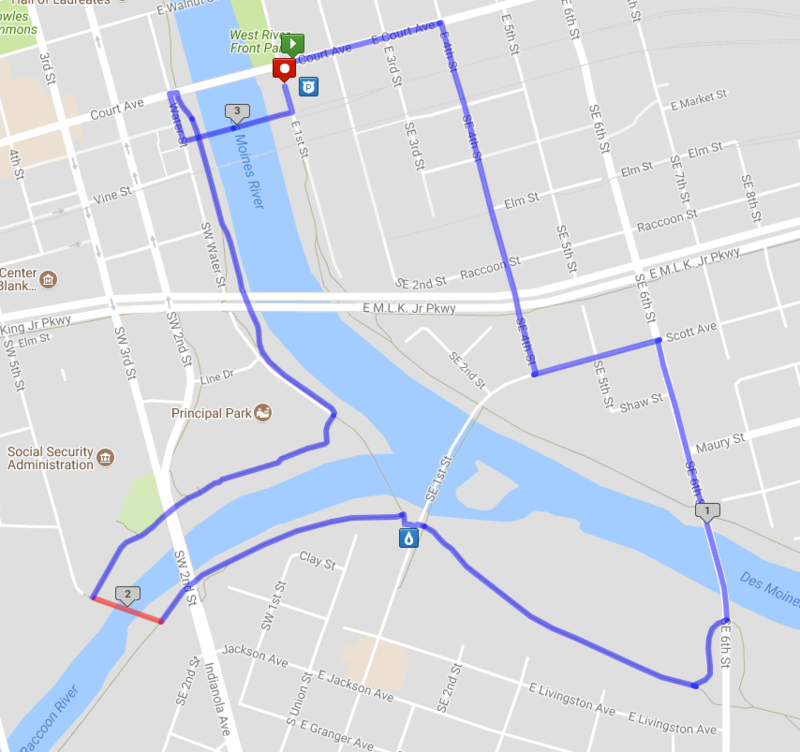 Do I need to register for the race to walk or run on the route? Yes, registration fees benefit our charities – Kiwanis Miracle League and Easter Seals of Iowa. $45 – click here to register. Online registration will be close at 12:00pm on Wednesday, May 15, 2019. Any entries after 12:00pm on May 15, 2019 will need to register the day of the race at the race site. Is there pre-race packet pickup? Thursday, May 16 from 11am-2pm at Fleet Feet Sports, 521 East Locust, Des Moines. Friday, May 17 from 3pm-6pm at Fleet Feet Sports, 521 East Locust, Des Moines. Race day packet pickup is also available from 7-8:30am at the Des Moines Police Station, 100 Block of East Court Avenue. What do I do if I don’t want to do the whole distance? You are not obligated to finish, we would just ask that you clear the course before the participants start finishing as not to impact the finish experience. Can I donate without running? Yes! All donations will go directly to the charities. You may make your donation here. Where will spectators be able to see the race? Along the race route and in front of the police station. See the race course map. Will there be water and food at the finish? Yes, there will be water and food for participants at the finish. Yes, at and around the police station. Yes, you can register your dog for $10.00 and get a special bandanna. They must be on leash at all times. Can I take a jogging stroller on the course? 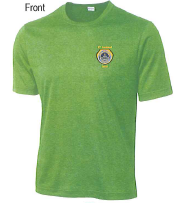 What type of shirts will participants get? All participants will receive a dri-fit t-shirt with their registration packet, or on the day of the race at race day registration. Will spectators be allowed on the route to take photographs? Yes, as long as they are off the street and not blocking the runners progress. Where can I park at the start? Parking is available in the parking lot at 400 E. Court near the Serve Credit Union. Additional parking is available on side streets in downtown Des Moines and around the Police Station. The finish will be near the start location. Can I purchase a t-shirt if I don’t want to run the race? Yes, they can be purchased on race day depending on availability after participants receive their shirts. Yes, there will be a water station at approximately the halfway point of the race. See the race course map. Will I get a finishers medal? Yes, new for 2019, all race participants will receive a medal. The 1st place male and 1st place female finisher in each age division (19 and under, 20-29, 30-39, 40-49, 50-59, 60+) will have their names engraved on a plaque that hangs in the Police Museum on the second floor of the Police Station. What is your policy on deferrals and refunds? There are no refunds or deferrals permitted.